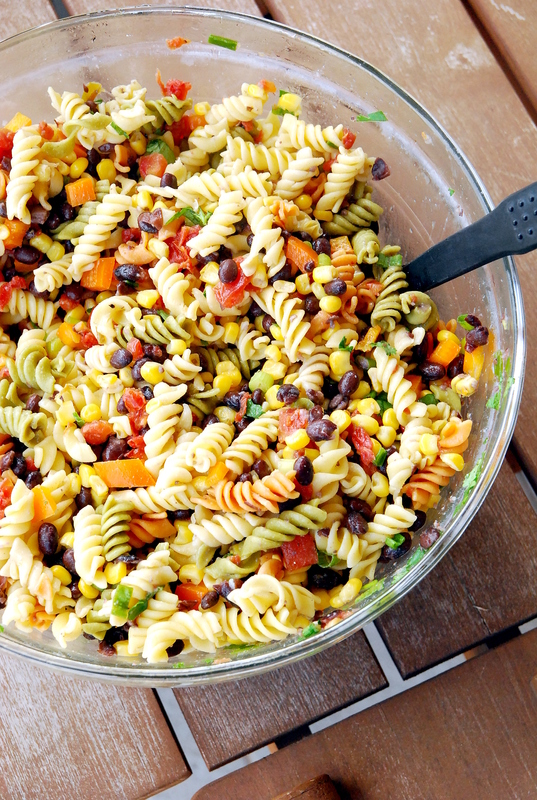 We love this pasta salad so much it becomes a main dish every time we make it. We take whatever steak or chicken we have leftover from grilling one night, slice it up and throw it in this salad. It’s such a satisfying lunch or dinner — bursting with flavor — and soooooo good cold (right out of the fridge). It seems a little crazy to mix all these fiery Mexican flavors with Italian dressing, but trust me, it works. 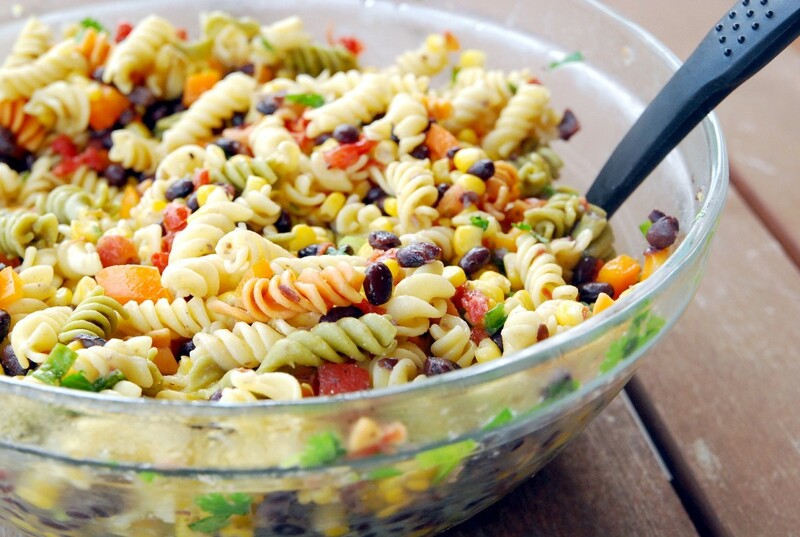 I’m not big on drenching pasta salad in dressing; I like just enough to give it some flavor and that’s exactly what this one does. The Mexican flavors stand on their own and don’t need a bunch of dressing masking their flavor. Using the Rotel does give this salad a little bit of kick (Rotel contains a little jalapeno.) It wasn’t too much for my kiddos (and they are wimps), but if yours have a heavy aversion to anything with spice you can use diced tomatoes instead. Mix all ingredients together and refrigerate for at least 2 hours. Serve cold. Adapted from Simple and Delicious Southern Food.